It then accounts for man’s current condition, one flowing from Adam’s disruption of the divine order established by God and consequent expulsion from the primeval Eden. Thus, the Genesis creation myth is both physical and moral. The distinctively moral and, to some extent, hierarchical components (which give added weight to that moral element) of these chapters appear to be unique--possibly establishing a structure for behavior patterns that will ultimately underlie the covenant between God and his chosen people. However, there appear to be residual elements in the story that correspond, however dimly, with other Mesopotamian creation stories. Two of these are the creation of man and the great flood. The first Genesis creation myth details the creation of the universe over six days, with the seventh day being set aside for God as a day of rest. According to the text, on the first day God created light, separating night and day. On the second day God created the sky and the heaven. On the third day he gathered the waters together into the seas and created the dry lands of Earth, covering them with grass, herbs and fruit trees which could replenish itself through seed. On the fourth day he created the sun, moon and the stars. On the fifth day God created the animals of the sea and sky, which he bade be fruitful and multiply. On the sixth day God created the living creatures of the Earth, the cattle, all of the creeping things, beasts. Finally on the sixth day God created man in his own image, “male and female created he them”, and bade them also to be fruitful and multiply and replenish the earth with dominion over all other living things. On the seventh day, as the heavens and earth were finished, God rested. The second creation story dates is much earlier than the first creation story, dating back to approximately the 8th century BC and is referred to as the Yahwistic text. In addition to explaining, the text also serves to edify, enlightening man on the reasons for their abject misery and beginning to define the relationship that exists between God and man. The second creation myth, told in the second chapter of Genesis, reveals the action of the Lord, called Yahweh, or Jehovah and sometimes Yahweh Elohim, Lord God. In this chapter, God creates man from the dust of the earth and breaths life into his nostrils. After giving man life (not woman, just man first), God created the gardens of Eden where he placed the man, and out of the ground grew the trees. In order that man not be alone, God then created out of the ground all the birds and beasts which he allowed man to name. When these creatures could not provide partnership for the man, God placed him in a sleep, took from his body to make a new being, woman. Creation in Buddhism - In the religious practice of Buddhism, creation is dramatically different than in other common belief systems. Adam and Eve in Paradise Lost - Adam and Eve in Paradise Lost are explored in depth in the book and found to show different virtues and qualities. Humankind's Relationship to God - Humankind’s Relationship to God research papers examine two points of view of relationships with God, one of which is the Greek Gods and the other is the Hebrew's. Creationism in Buddhism - In the religious practice of Buddhism, creation is dramatically different than in other common belief systems. Creation in the Shinto Religion - Susano is also a part of the creation myth. Susano travelled from heaven to visit the earth and ended up wandering for several years. Creationists - Creationists Research Papers discuss the latest trends in the Creationism ideology. Scientific Creationism research papers on Scientific Theories of creation. 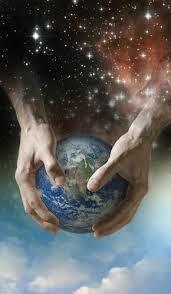 Evolution versus Creation research papers examine the arguments for Creationism and Evolution. Intelligent Design is the latest phrase in the attempt to teach creationism in schools.